Spring is in the air! The Crocus are in bloom and the turf grass is coming to life and proudly displaying this years version of the ever-popular bright green! But, what’s this? There are some brown spots throughout your lawn? That won’t do! Time to make some early spring repairs. 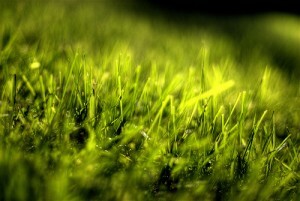 Get a beautiful lawn this year by seeding bare spots in early spring! 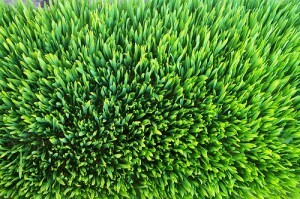 One of the two best times for planting new grass is while the season is still young, and the grass is greening up. The other is in the mid to late fall. Two reasons for planting in the spring and fall are; the cool weather, and the abundance of moisture. It just so happens that turf grass thrives on cool weather and lots of rain! The age-old technique of thrusting your hand into a bag of grass seed and scattering the seed to the wind is still a viable way of getting new grass to grow, but may give a much lower yield of new growth than being a little more systematic about the process. A better way to approach the process is to prepare the soil by roughing the dirt up a bit to allow the seed to penetrate the surface. This can be done by using a hand claw tool or by raking the area with a leaf rake or a steel rake if the soil is dryer or harder in your area. A thick, full lawn can be yours if you plant early! If you would like to over-seed a large area – perhaps your whole lawn – you may consider renting a turf slitter or a de-thatcher I have a BlueBird de-thatcher – an industry standard. These can be found in a rental shop and rent for around $35 for 4 hours or $45~$50 for the day. My de-thatcher has a folding handle – a very nice feature. It makes it easy to move in small vehicles and store if you own the machine – it’s very compact that way. I use my machine as slitters to prep soil for planting grass seed. They are very efficient that way. It gives a a nice shallow slit for the seed to germinate. Once the ground is prepared, spread the seed by hand for small areas, or with a spreader for an entire lawn. Either way, keep the seed close to the ground for less drift, and do not attempt to spread seed on a windy day. Nuff said! If using a spreader, I prefer a small hand-held one over the rolling variety unless the area you’re covering is huge. The reason I use the hand-held spreader is for control. I want the seed to go where I want it to go. You’ll get less drift into your flower beds, for instance. If using a spreader, set the control to about half way open and see how the seed disburses. Adjust the control to be more or less open accordingly. 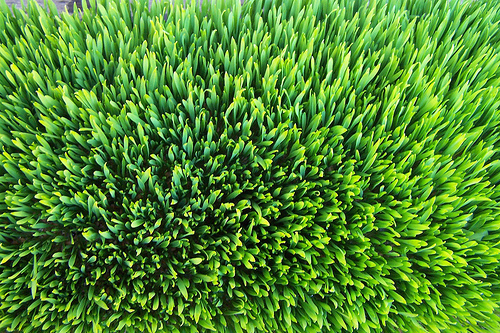 Starter fertilizer gives your grass seed a boost! It’s a good idea to use a starter fertilazer to promote initial growth. This will get your seed off and running to a faster germination. Now all you need is some water, and some sunshine! As the new plants begin to grow, protect them from trampling feet and lawn mowers until the grass has a good solid growth of at least two inches or so. 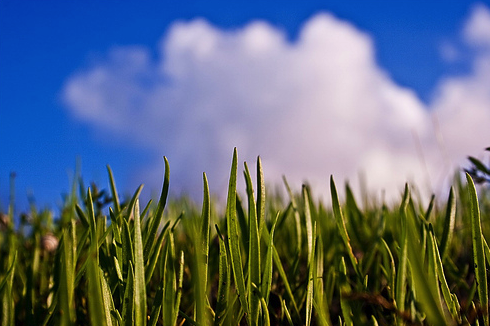 It won’t be long until you’re enjoying a thicker, more lush lawn! Pretty good post. I just stumbled upon your blog and wanted to say that I have really enjoyed reading your blog posts. Any way I’ll be subscribing to your feed and I hope you post again soon. . . . Awesome images! I love the post so much! Great information. Thanks for the publish. Do you have to make use of the Aerogrow Seed Kits / Pods to develop plants making use of the Aerogarden? After reading your blog, I thought your articles was great! I like your articles, and I love gardening. Your blog is very useful for me – I bookmarked it for next time!